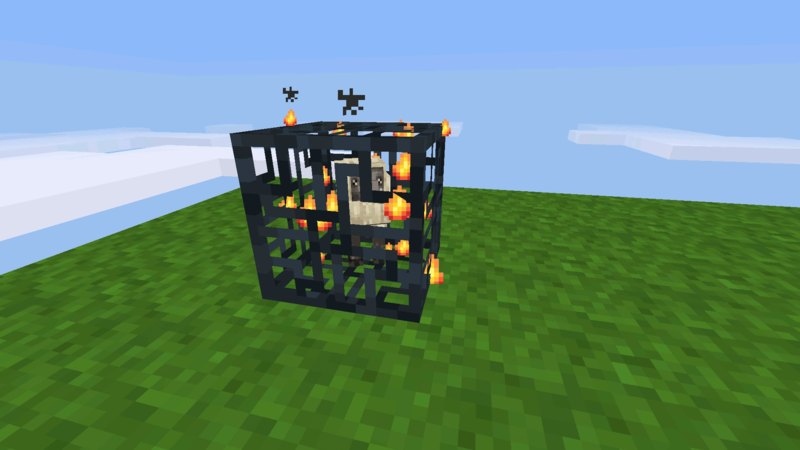 This MOD for Minetest adds multiple spawner blocks. There ara no ABM's used and this modpack is developed with focus on the best multiplayer online server performace. Easy to implement new mob mods just look in to config.lua. NOTE: Pyramids mod is not included/supported anymore! This MOD for Minetest let the player craft ore Spawners. Ores are spawning randomly in a short intervals and you get 10% more ores from inputed ingots. Ores are spawning only in default:stone so make sure there is one around. 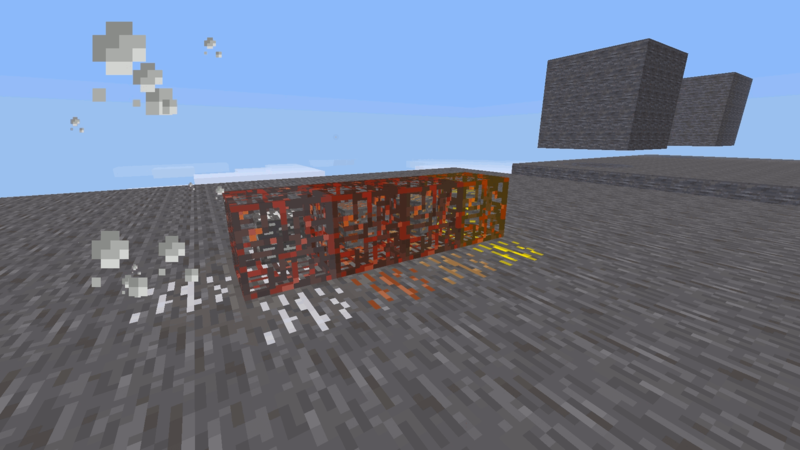 This MOD is giving the option of creating lumps back from ingots. This MOD for Minetest let the player craft Mob Spawners. Mobs are spawning randomly in a short intervals. This MOD is giving the option of creating mob farms and mob grinders. This MOD for Minetest adds environmental spawners to the map. 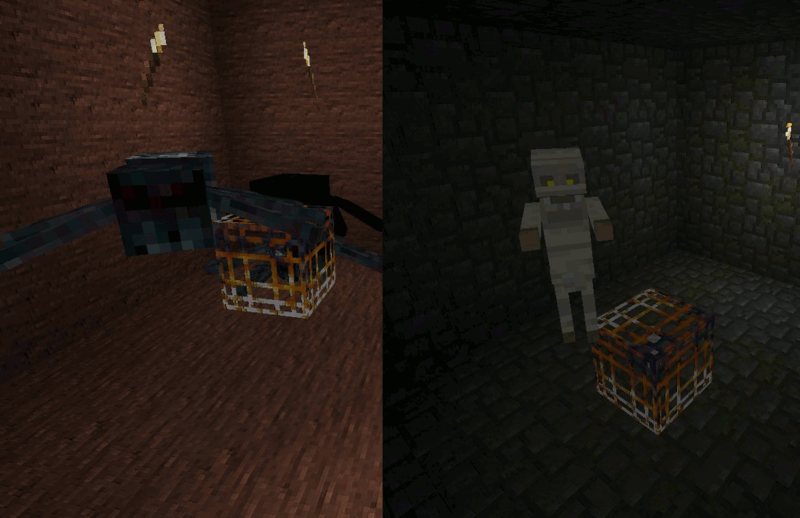 When enabled, the spawners will be added to newly generated Dungeons (Uruk Hai) and Temples (Spider). They are dropping a real mob spawner by chance (very small chance). Last edited by SaKeL on Mon Jul 02, 2018 05:12, edited 27 times in total. Not an original idea but how you realized it as a mod - wow, well done! If you know that feeling when you end up with full stacks of ingots and then you need a lump for recipe (or whatever else) and you don't have any this will be your solution! NEW ore spawners (gold, iron and copper) will spawn stone with ore if there is an default stone around. Just put the right ingot in the right spawner and wait for spawner to do its work. There is something extra, you have a chance that 2 ores get spawned from 1 ingot. See the changelog for more info. Enjoy. Last edited by SaKeL on Sat Mar 05, 2016 19:02, edited 2 times in total. I believe you need to add stack_max to the node definition. That works on the nodes also? Though that is only for items/tools. I will double check, thanks. Thanks Nathan it worked, i have never tried it because it was mentioned only for items on the wiki page and note for nodes. Added it to this release. Glad to help, actually kinda surprised I was right, as I didn't check any references and left that comment while at work and far away from my computer. If you are using older version of mobs redo then the new sheep texture will not show correctly! Last edited by SaKeL on Sat Feb 20, 2016 02:42, edited 1 time in total. From youtube video you mentioned that some light needed for spawner to be active. Is this requirement is for all kinds of spawners or just for pasive mobs? Btw, nice work! in config file, then you need 'dark' for the spawner to work, thus mobs will spawn in the night only, unless you put them in the dark room somewhere. Both of the mentioned above works only for mob spawners. Ore spawners spawning anytime, anywhere until they have enough Ingots in them and of course stone around where they can spawn the ore in to. Last edited by SaKeL on Fri Feb 19, 2016 19:23, edited 1 time in total. looks really nice and usefull! good job! Thanks, have fun with it ! Added mobs redo stone monster spawner. Spawners and some other Mods for Minetest became a separate project therefore all previous releases were removed :/ Starting from Spawners v0.5.1 as an initial version. If you are a developer what likes to actively contribute to one of the Mods in the project, perhaps add some more, don't hesitate to contact me. Can you make this guy? Inherited BlockMen Pyramids. Pyramids can be spawned in desert and environmental spwaners are added. Environmental spawners are used for spawning inside of temples and dungeons (mapgen v6 default minetest game). - Thanks to BlockMen. These kind of spawners are very rarely dropping real mob spawners, in any other case they don't drop anything. Mummy mob was redone with mobs redo API and drops more interesting items. Will be added today to SaKeL World Server. Strange, if I set both SPAWNERS_GENERATE and CHESTS_GENERATE to true it only generates spawners (but no chest). If I disable SPAWNERS_GENERATE (by setting it to false) chest generation then works. Tried on 0.4.14 MT.